Wednesdays offering at the CJC was Australian based Jazz singer Susan Gai Dowling. Susan’s sidemen were Kiwi Jazz veterans Mike Walker (p), Pete McGregor (b), and Frank Gibson Jnr (d). After hearing her sing I could understand why she was in demand on the Sydney scene after so many decades. Her voice is warm and slightly smokey and above all it is a real Jazz voice. At her command were all of those tricks of articulation that tend to separate Jazz singers out from the straight-ahead variety. To underscore her Jazz credentials she announced that she would mainly sing ‘Monk’ tunes. To up the anti even further there was also an extremely difficult Brubeck number thrown in, ‘Raggy Waltz’ ; in addition we heard ‘Very Early‘ (Bill Evans), Lady Bird, (Tad Dameron) and ‘Girl Talk‘ (Bobby Troupe). 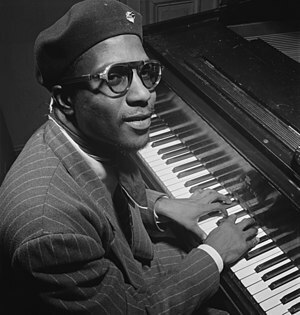 Thelonious Monk was a genius of composition, but singing his tunes is arguably a risky business with all of those spiky rhythms to contend with. Others have put words to Monk and Carmen McRae was the standout in my view. McRae has set a high bar to what is already a difficult proposition, but Susan approached the task with confidence. She opened with a standard. ‘Old Devil Moon‘ and then tackled ‘Blue Monk‘. As she progressed through the eight Monk tunes it was obvious that she was more than up to the task. Like McRae her intonation and her ability to deal with the complexity of the tunes was impressive. Mike Walker dealt with the angular percussive accents in the way that an accompanist should. Not over-bearing and leaving enough room for the singer to tell her story. The rest of the band got right in behind the singer and they deserve credit for their flawless performance because they had not been able to rehearse because of the tight timeframe. Next was the lovely melody ‘Ask Me Now’. It was a real treat and it enhanced the singers credentials as she captured the raw beauty and emotion of the tune. The other Monk tunes were ‘Well You Needn’t‘, ‘Ugly Beauty‘, ‘In Walked Bud‘, ‘Ruby My Dear‘, ‘Monks Dream‘, & ‘Round Midnight‘. ‘Ruby My Dear’ was lovingly executed and this iconic tune along with her rendition of the Evans classic ‘Very Early‘ were highlights. Susan Gai Dowling and Mike Walker were off this week to play a gig in New York’s ‘Birdland’ club. Yes it’s been a year but at last have a wedsite up http://www.susangaidowling.com I did had the most amazing time in NY and sang at Birdland with Jim Caruso’s Cast Party..You can catch a listen on my web site. Have just taken my new CD to printed today “IN Summer” Shall soon have it up and on my site. You are welcome Susan – we loved hearing you and look forward to your return. Between Sydney and Auckland we can make the South Pacific swing like a well oiled gate. lovely review .I enjoyed the Monk gig so much and the venue is great. Had a fantastic time in NY. I sang at Birdland.You said it is a marvelous venue and it sure is .The owner Gianni just loved my work. Wish you could make our Sydney gig at Venue 505 this Wednesday . Mike and Pete are flying over to play.Thanks again Auckland for your support.